This new, environmentally-friendly and sustainable siding for residential and commercial installation is composed of bamboo fibers, post-consumer recycled paper, and recycled wood fiber. 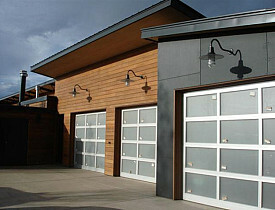 The exterior-grade product introduced by KlipTech is called EcoClad. This siding is as durable as metal, brick, and stucco exteriors, and does not support bacteria or fungus growth. EcoClad is also free of VOCs (volatile organic compounds) and contains no benzene. KlipTech claims the product has seven different credits within U.S. Green Building Council's Leadership in Energy and Environmental Design (LEED) green building standards. Reduced waste sent to landfills. Conservation of energy and water. Assurance of health and safety for occupants. Reduction of harmful greenhouse gas emissions. Eligibility for zoning allowances, and other incentives in hundreds of cities. Demonstration of an owner's commitment to environmental stewardship and social responsibility. Now let’s look at the downside of the big 3 currently popular siding materials: wood, vinyl, and aluminum. Wood siding, while providing a warm natural look to the exterior of a building, is not an eco-friendly choice. Deforestation for siding, furniture, and other lumber needs is unnecessary when there are so many sustainable alternatives to wood available. Trees destroyed for the siding project will take years to grow back, if replacement trees are even planted. Additionally, since it requires more maintenance than other siding options, lumber siding will shrink and expand, warp, rot, and change color over time. Wood also attracts highly destructive pests such as termites and carpenter ants. According to the Centers for Disease Control & Prevention (CDC), "Vinyl has some environmental and health concerns, as do most exterior treatments. Vinyl chloride monomer, of which polyvinyl chloride siding is made, is a strong carcinogen and, when heated, releases toxic gases and vapors." Not only does this popular siding emit toxic VOCs, it also is prone to warping and shrinkage. Vinyl tends to melt in high heat, as well. Aluminum siding can be easily dented and chipped. Over time, it will "chalk," meaning that the color will fade and require painting. Replacing damaged areas is difficult due to the way this siding is installed, and it can be difficult to match the colors of old and new siding. Additionally, aluminum siding provides virtually no insulation to the building where it is installed. Even worse, aluminum siding conducts electricity. This could be a problem if the siding were to make contact with electrical wiring or downed power lines or be struck by lightning. This conductivity characteristic can also affect wireless Internet, TV, and radio reception. For consumers looking for an environmentally sustainable and non-toxic alternative to wood, vinyl and aluminum siding, EcoClad is a green choice. Find a reliable contractor to install your new siding.